Brandon, MB – As construction progresses on the Brandon Municipal Airport Expansion/Redevelopment Project, the City of Brandon would like to take the opportunity to offer sincere thanks to its partners at the Calgary Airport Authority for their continued assistance in ensuring smooth operations on both sides of its successful daily Brandon-Calgary WestJet flight. To better accommodate those travellers departing from Brandon, the Calgary Airport Authority has recently donated a total of 55 customer luggage carts to the Brandon Municipal Airport, some of which are already being put to good use at the terminal while it undergoes expansion. Richardson added that signage will be installed in the Brandon Municipal Airport’s new terminal area to formally recognize the Calgary Airport Authority’s contribution. Meanwhile, Brandon-bound travellers arriving at the Calgary International Airport are already benefiting from a few additional creature comforts as they await their flight. When arriving at the Calgary International Airport, WestJet Encore travellers will also now notice a new departures area has been created, complete with two new gates, washrooms, a kids play area, food and beverage vendors, a full PA system, and two dedicated boarding status screens. 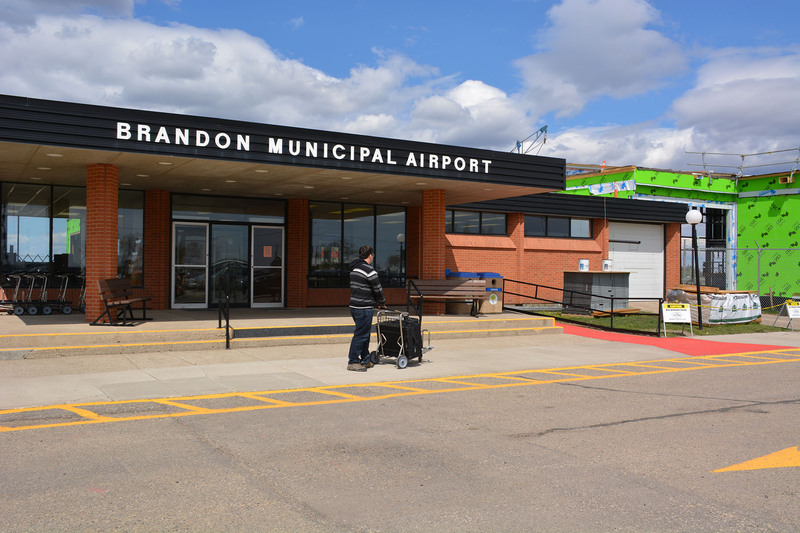 Richardson noted that the Brandon Municipal Airport Expansion/Redevelopment Project is approximately one-third complete, with final completion of the entire project anticipated in January of 2017. Once complete, the airport terminal’s footprint will be three times its original size and will feature dedicated areas for check-in, security/baggage handling, departures, and arrivals. Fast and reliable broadband connectivity via fibre optic and public Wi-Fi access will also be available. A reminder to all patrons of the Brandon Municipal Airport that a direct, non-stop Toronto-to-Brandon return flight via WestJet will be offered four times a week from June 28th to September 5th. Travellers are encouraged to take advantage of this summer schedule, as WestJet has indicated there is the potential to extend the schedule based on demand. Travellers can visit http://airport.brandon.ca/ for full flight information.